LEGAZPI CITY (Feb 2) - Effective 12:00 noon Friday, Office of Civil Defense (OCD) advised the Provincial, City and Municipal Disaster Risk Reduction Council to decamp evacuees residing in evacuation centers residing outside the 8KM Extended Danger Zone while Alert Level 4 remains in effect over Mayon Volcano. Claudio L. Yucot, OCD Director and Chairman Regional Disaster Risk Reduction and Management Council (RDRRMC) said that this is in accordance with the DOST-PHIVOLCS Protocol and Bulletin, Alert Level 4. Yucot assured the public that they will closely monitor the returning residents to ther respective homes outside of the 8KM EDZ. In an interview with Mayor Herbie B. Aguas of Sto. 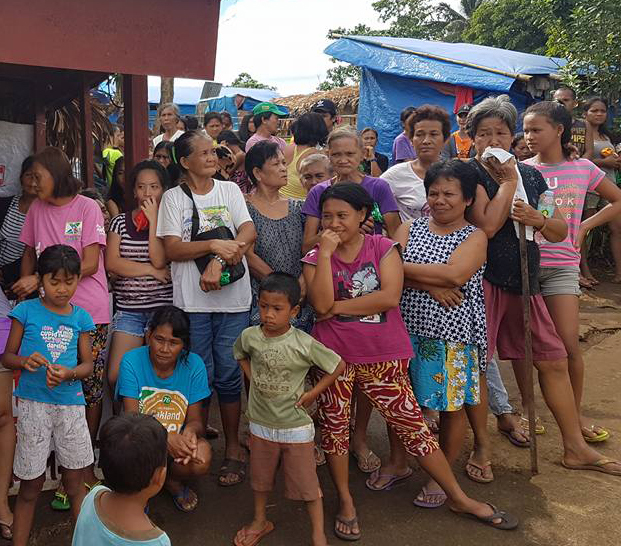 Domingo, Albay, residents that fled from their homes residing in Bagong San Roque, Sto. Niño, San Roque, and poblacion barangays after meeting with the respective barangays will decamp. Purok 1 of Brgy. San Isidro will stay in the evacuation center due to the hazards posed by possible pyroclastic flow and lahar flow during heavy rains. Nevertheless, Aguas clarified that if residents prefer to stay in the evacuation center for fear of Mayon, will be allowed to stay.